We are always looking for dedicated, driven and enthusiastic individuals to join our team! If you believe that you would be a good fit for our team, check out our contact page to see how you can reach us! 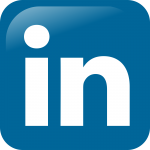 You can also check us out on LinkedIn!